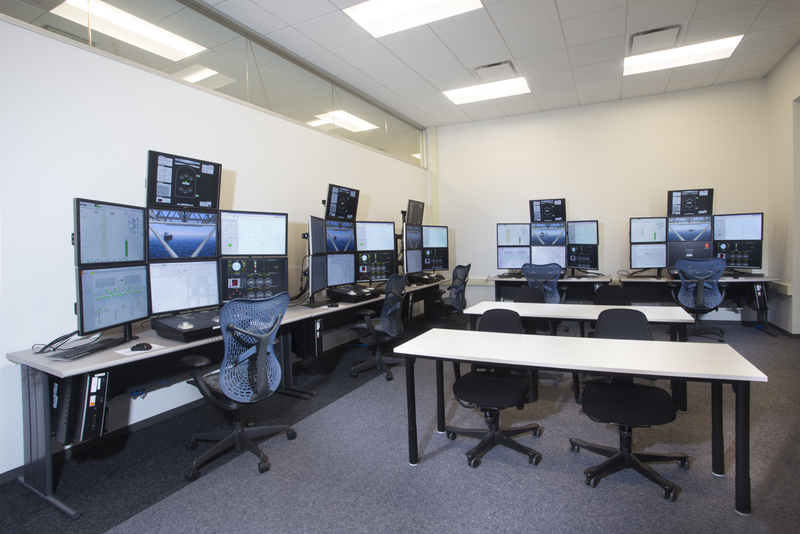 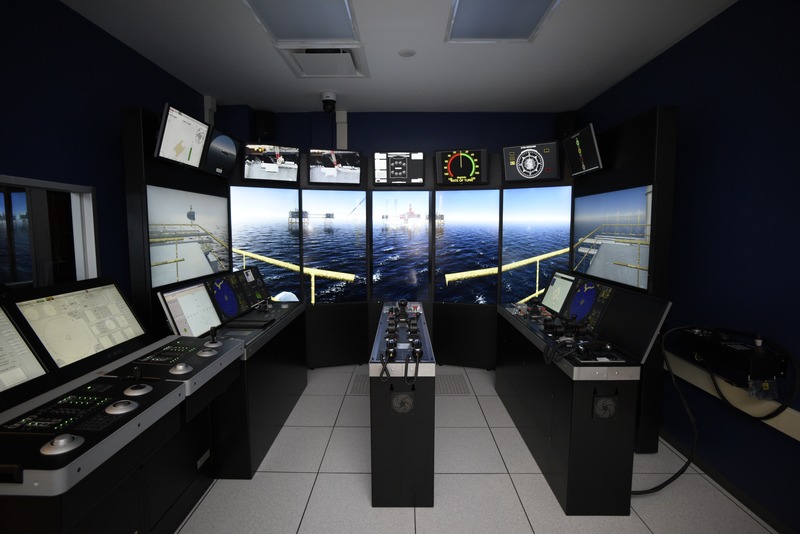 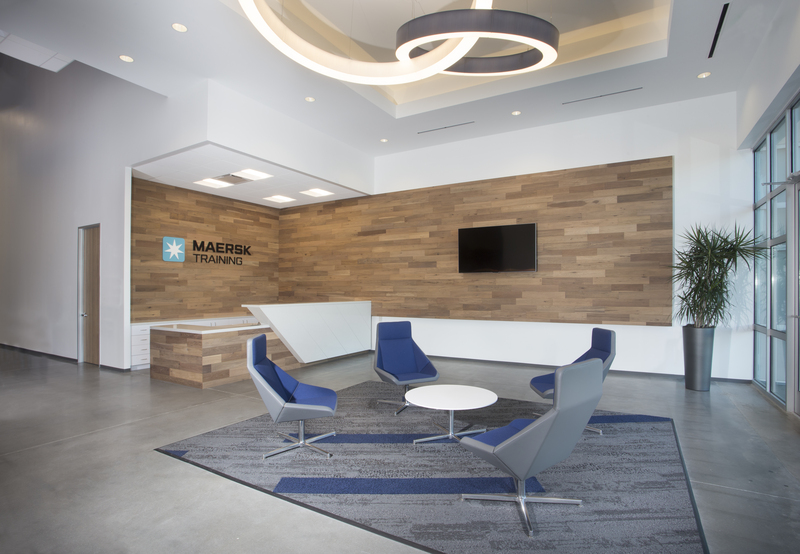 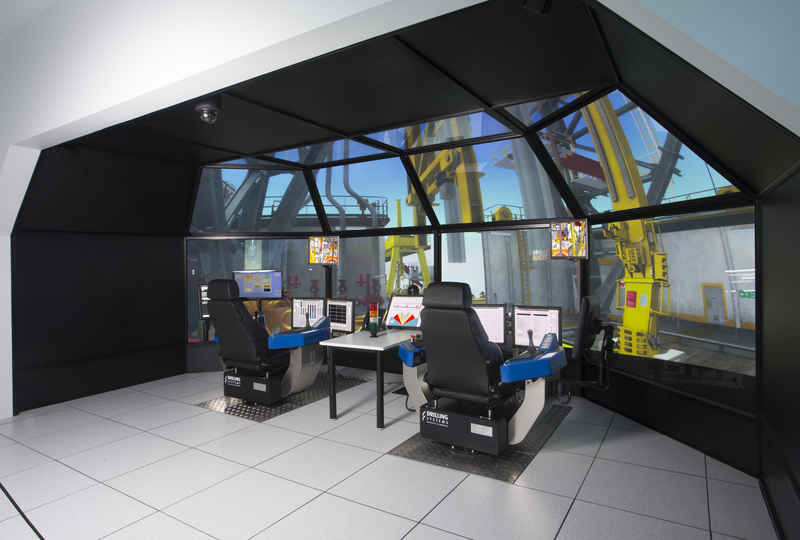 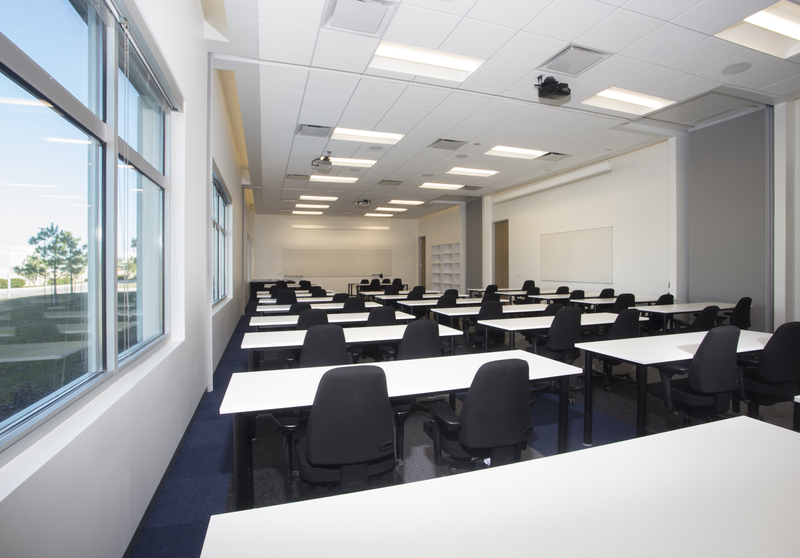 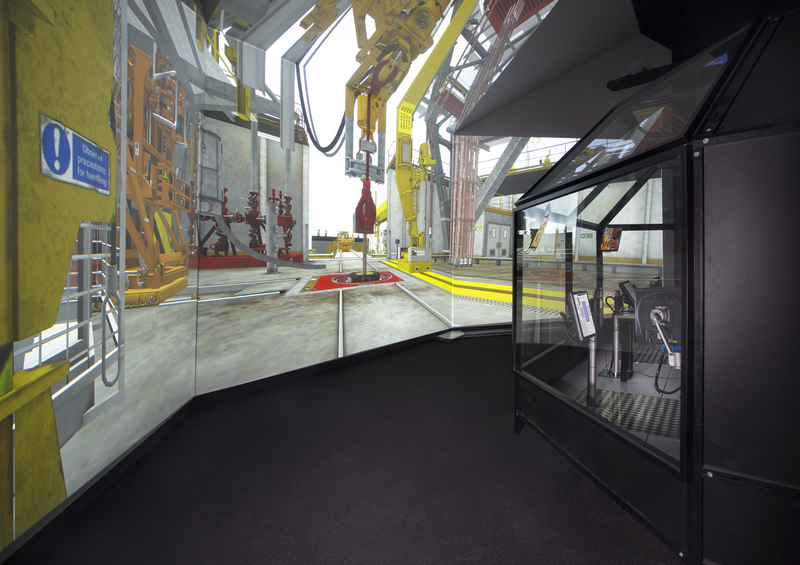 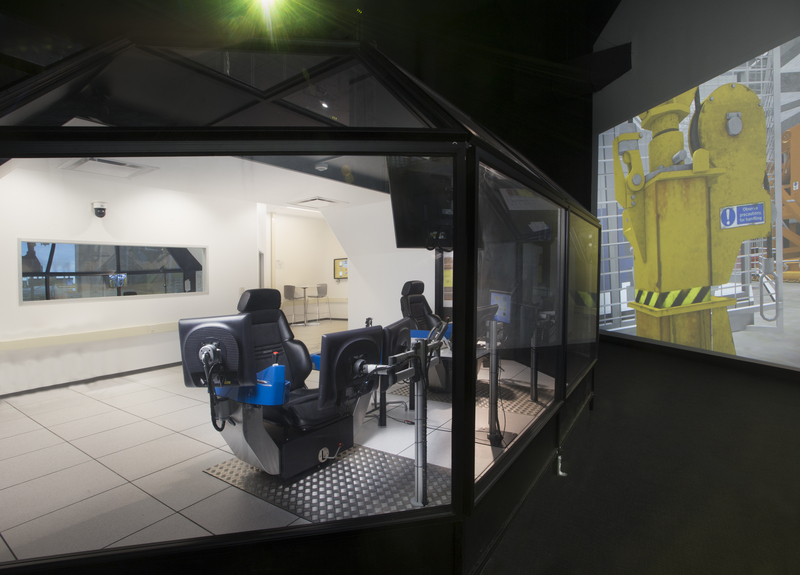 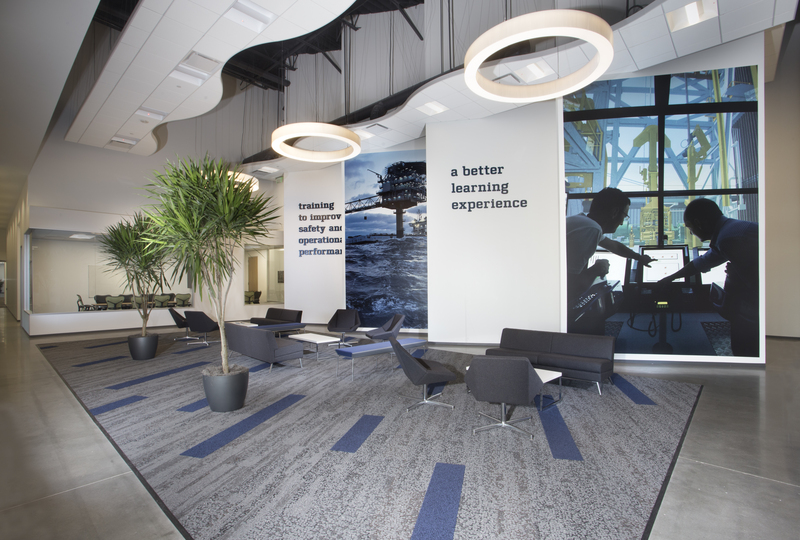 Near Bush Intercontinental Airport, the Maersk Training facility houses multiple classroom areas and seven immersive virtual reality simulators to train participants in all aspects of the oil field industry including safety, drilling, maritime, crane operation and open water navigation. 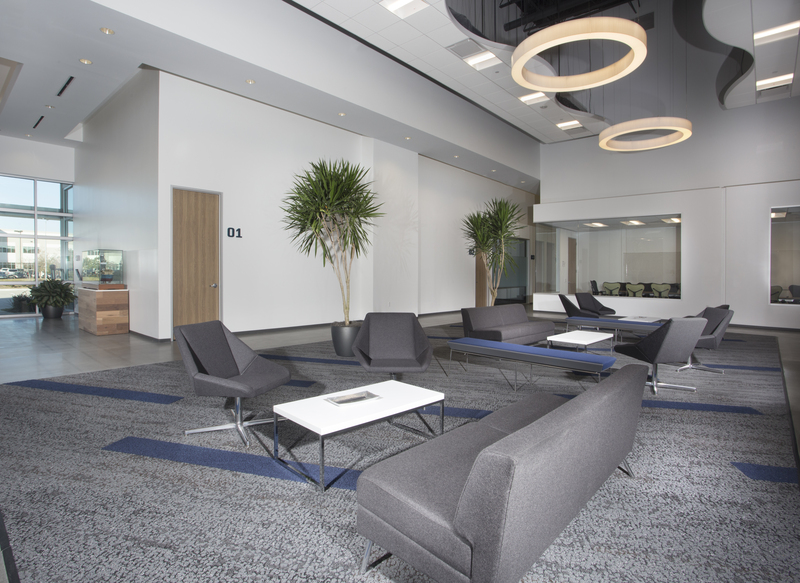 Additional features include open gathering and lounge spaces, welcoming entries and shower facilities. 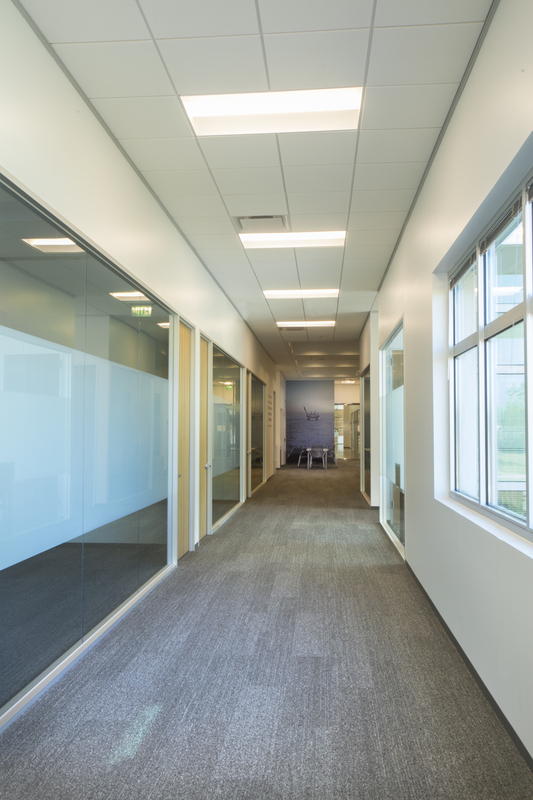 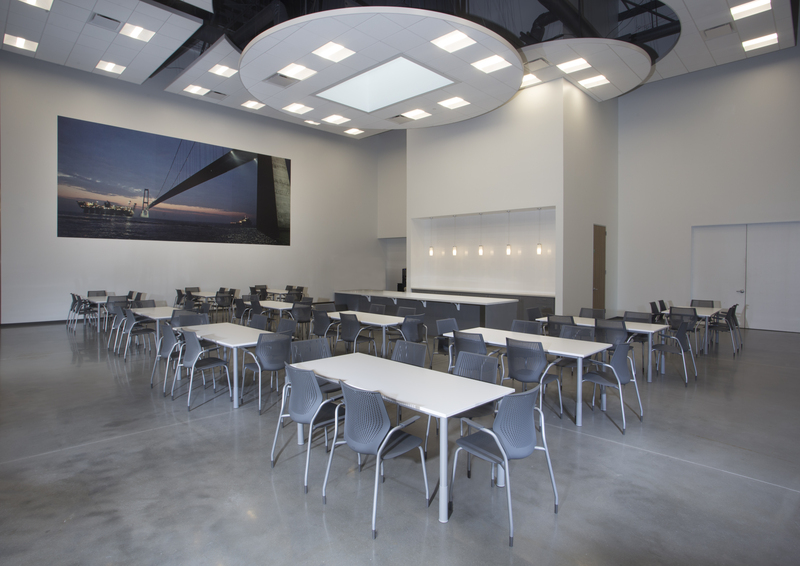 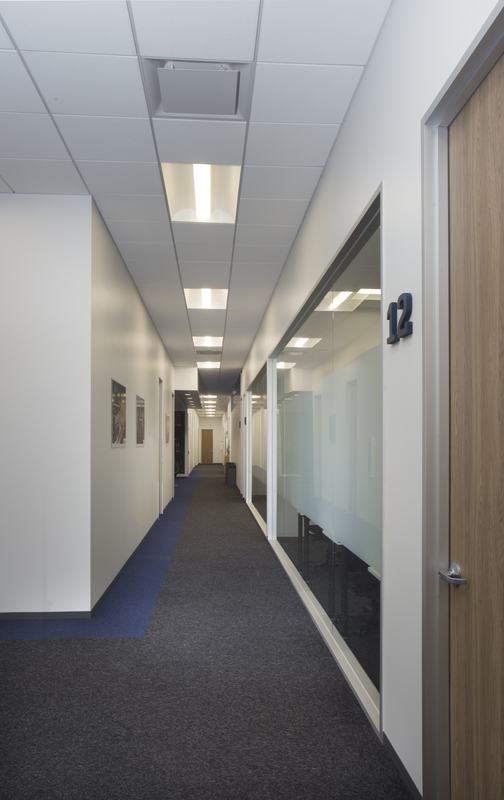 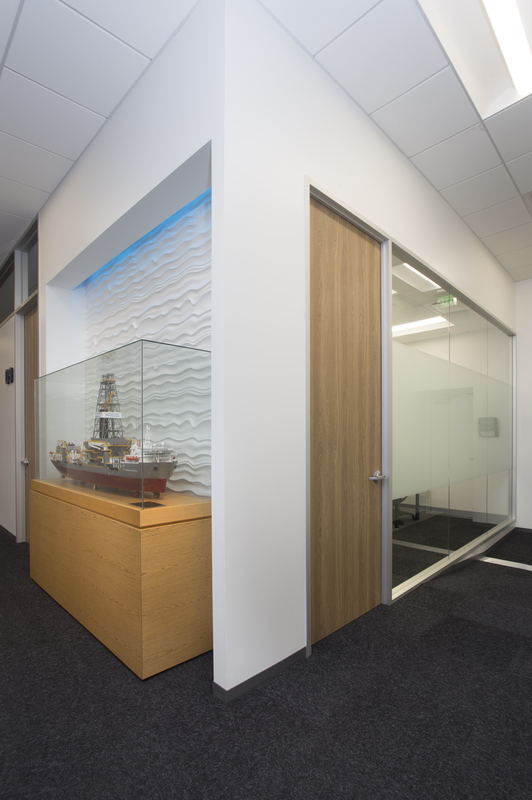 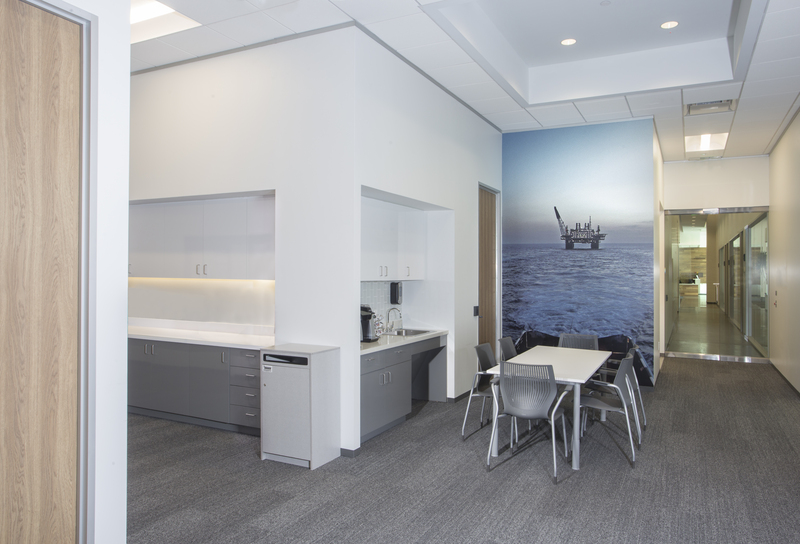 Class A interior finishes were used in balance with industrial elements to ensure that both a Fortune 500 executive and deckhand could relate with the space. 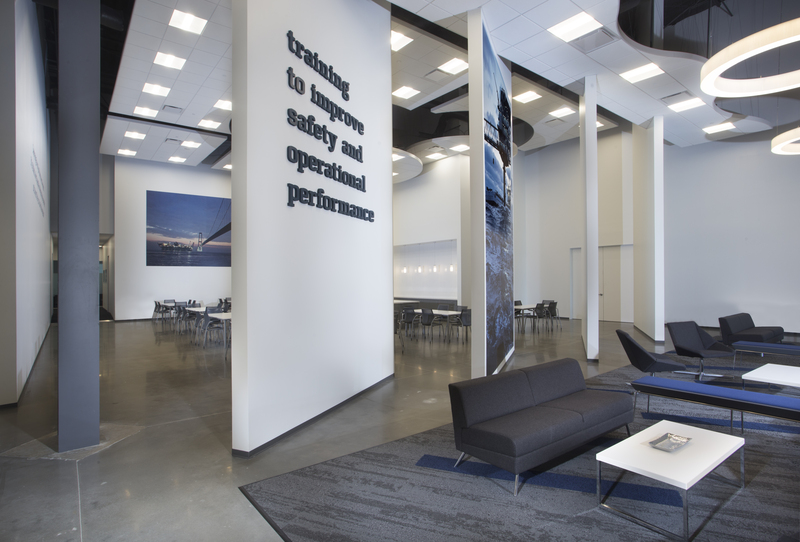 This is the first commercial facility of its kind and size in the United States.